Funeral services for Christina Villalobos, 93, of Rosenberg will be held on Saturday, April 27, 2019 at 10:00 a.m. at Caballero-Ryder Funeral Home with interment following at West Gethsemane Cemetery in Rosenberg. Mary Alice Baucom Hagler Clyde 83, 23-Apr, Bailey Howard Funeral Home. Rhonda Walter Abilene 63, 23-Apr, Abilene Funeral Home Inc..
Margaret Mills Ward Abilene 101, 23-Apr, The Hamil Family Funeral Home. Kim Joyce Rising Star 63, 21-Apr, Kimbrough Funeral Home. Sterling C. Carter Abilene 75, 24-Apr, Girdner Funeral Home, Abilene . Tony Johnson Abilene 66, 24-Apr, Dove Funeral Home. Marie Carlisle Abilene 86, 23-Apr, Abilene Funeral Home Inc..
Joanna De La Rosa San Diego 34, 18-Apr, Garza Funeral Home. Consuelo A. Gonzalez Houston 72, 18-Apr, Garza Funeral Home. 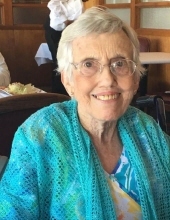 Carol Lyskawa Rogers Corpus Christi 81, 22-Apr, Seaside Funeral Home. Imelda Concepcion Gonzalez La Feria 77, 21-Apr, Garza Funeral Home.